MPSC Civil Judge Admit Card 2019: Maharashtra Public Service Commission MPSC inviting online applications for Civil Judge CJ from eligible candidates, The examination date was confirmed for the MPSC Civil Judge exam is to be conducted on 7th April 2019. 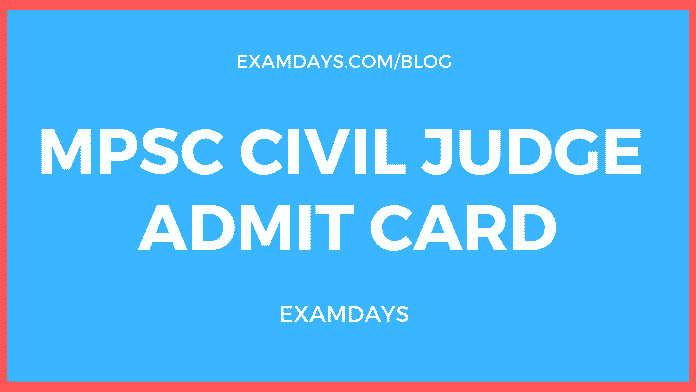 Those who are applied for the MPSC Civil Judge can download the Admit card 2019 for the 7th April 2019 examination. There are 190 vacancies are filled by this year, candidates apply online as per the eligibility, check the complete MPSC CJ Notification 2019, the PDF document is given below. 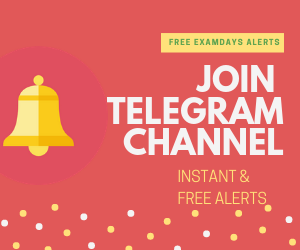 Those who are applied for the post of Civil Judge in Maharastra State can download the Admit card for the exam date of 7th April 2019. The examination to be conducted by the MPSC Recruitment team as per the commission instructions. Use the candidate’s registration number and date of birth (filled at the time of candidates online registration). 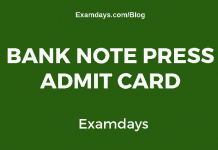 Once admit card displayed on the screen, take the print out. Attach the any govt id proof for the exam. Attend the examination as per Admit card assigned date and time (slot wise). The MPSC Civil Judge exam date is given below, the MPSC examination to be conducted on 7th April 2019 and mains examination to be conducted on 18th August 2019.